The second day of Greco-Roman competition at the Junior World Championships from Trnava, Slovakia will start on Tuesday, September 18th. Wrestlers at the 60 kg, 67 kg, 72 kg, 82 kg, and 97 kg weight classes will begin their tournaments and wrestle up until the finals. Wednesday, the repechage and finals will take place at these weight classes. Last year the United States brought home their first individual gold medal since 1999 when Kamal Bey won the 74 kg weight class. The US will be looking to build off of that performance as Bey returns and anchors a young, hungry squad. Below are the notable wrestlers to watch and predictions for the five weights that will start on Monday. 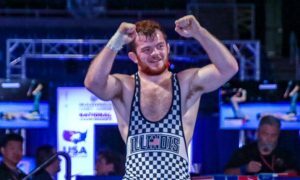 Tomorrow a preview of the final five Greco weights will be published. The actual draw for each weight class will take place the day before, so we are unsure of the exact bracketing at this time. This weight class features a returning 55 kg Junior world champion in Kerem Kamal (Turkey), however he, not a lock to take home his second gold medal. Kamal was upset in the Round of 16 at the European Championships by Ararat Manucharyan (Armenia), who would go on to take the bronze. 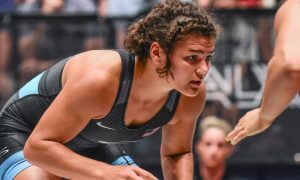 The Turk does have some favorable results this year, winning the European U23 Championships, a third-place finish at the Dan Kolov and fourth-place at the Grand Prix of Zagreb, both of which mostly consisted of Senior level competition. The champion at Kamal’s European weight class was Andrej Ginc (Germany), a 2015 Cadet World bronze medalist. Ginc’s finals opponent was Abu Amaev (Russia), who knocked off Manucharyan in the semi’s. Amaev has some world hardware of his own, as he was a Cadet World silver medalist in 2015.